The Panamanian government introduced the Friendly Nations Visa in May 2012. The purpose of the visa is to attract immigration and foreign investment to Panama. Presidential Decree 343 declared citizens of 22 ‘friendly nations’ eligible for a fast-tracked application process for permanent residency. Since 2012, additional Decrees declared another 28 ‘friendly nations’ eligible to apply for the visa. 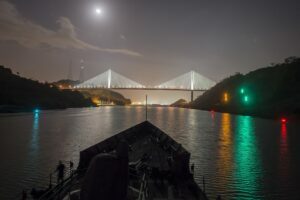 This streamlined entrance process for migrants to Panama makes the country an accessible, low-cost option for foreign investors looking to start a business in the region. Set up a business in as little as two weeks in Panama. Panama is unique in that you can register a business in around two weeks. You also don’t have to physically be in the country during or after the incorporation process. The incorporation process from beginning to end can take around two months. With the right legal assistance and sufficient funds, setting up a business is straightforward. You’ll need a president, secretary, and treasurer to get started, and a General Power of Attorney to control your business. Finally, your company will need to open a corporate bank account. Only a few preliminary steps in starting a company are required, along with a visa. Thanks to Panama’s Friendly Nations Visa, this process has been made easier for citizens of 50 countries worldwide. With a Friendly Nations Visa, you can obtain a social security card and work permit. Your spouse and dependents (including children aged 18-21 if they are students or disabled) can get the same. After five years with the visa, you can apply for Panamanian citizenship. What is the Panama Friendly Nations Visa? The Friendly Nations Visa makes it easy for citizens of 50 countries to set up a business. 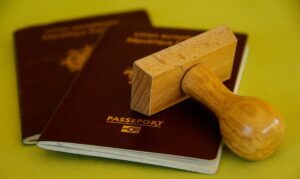 It is one of the most attractive methods available for people to obtain permanent residence in Panama. This is because it has an easy application process and minimal requirements for investors setting up their business locally. Citizens of the countries specified below, who have professional or economic ties with Panama, are eligible to apply. With this visa, people have the right to obtain Panamanian identification (cédula) and request a work permit indefinitely. The Friendly Nations Visa also offers applications for one main applicant and optional dependents (spouses, children). Each application type has specific requirements. Am I eligible for the Visa? Andorra, Argentina, Australia, Austria, Belgium, Brazil, Canada, Chile, Costa Rica, Croatia, Cyprus, Czech Republic, Denmark, Estonia, Finland, France, Germany, Greece, Hong Kong, Hungary, Ireland, Israel, Japan, Latvia, Liechtenstein, Lithuania, Luxembourg, Malta, Mexico, Monaco, Montenegro, Netherlands, New Zealand, Norway, Paraguay, Poland, Portugal, San Marino, Serbia, Singapore, Slovakia, Spain, South Africa, South Korea, Sweden, Switzerland, Taiwan, United States of America, Uruguay and United Kingdom. Additionally, you need to have professional or economic ties to Panama. This can be in the form of a board membership or major shareholder of a local corporation. How do I get a Panama Friendly Nations Visa? Application requirements differ for the main applicant and dependents. The crucial element of obtaining the visa is being able to prove your professional or economic ties to Panama. Registering or incorporating a business are both easy ways to achieve this. Proof of economic solvency via a bank reference letter, showing a balance of at least USD$5,000 in a Panamanian bank. Proof of economic solvency via a bank reference letter. Note: if applicant shares a joint bank account with main applicant, it is recommended to show a balance of USD$8,000 (rather than $5,000). If the dependent child is 18 years old or more: proof demonstrating the child is single and enrolled as a full-time student in Panama. You’ll need to submit your application in Panama. The processing period for applications is between three and six months. Applicants usually travel back to their home country during this time. You’ll need a Multiple Entry Visa if you decide to do this and return later to Panama. You’ll then receive a temporary visa that allows you to stay or leave Panama as you wish. You can also begin your application for a Panamanian identification or cédula. Note that you must return to Panama to exchange the temporary visa for the permanent visa. The Panama Friendly Nations Visa costs USD $1,050 in government fees for applicants and dependents 12 years old or more. These are made to the National Treasury and National Immigration Service. Dependents under 12 years are only required to pay USD$250 to the National Treasury. Associated legal and commercial processes such as obtaining a Multiple Entry Visa or work permit, registering a business, and opening a bank account incur extra fees. Therefore, it is wise to budget around USD$4,000 for one main applicant. For a family of four – including one main applicant and three dependents – a budget of approximately USD$8,000 is recommended. Panama is undoubtedly a popular foreign investment hub for its ease of access. The Friendly Nations Visa makes Panama appealing to foreign investors looking to start up their business with minimal barriers and costs. Biz Latin Hub provides customized support to customers entering Panama and other Latin American markets. We can assist you through the entire company formation process with our tailored business solutions. Contact us at [email protected] for more information.